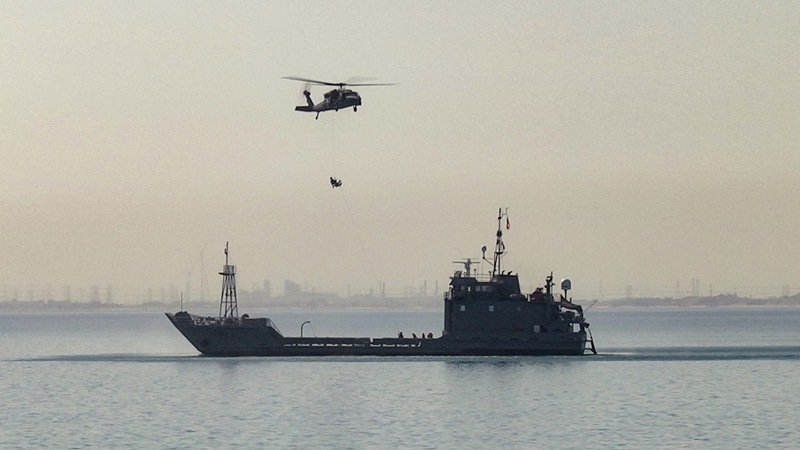 A U.S. Army UH-60 Black Hawk helicopter drops a basket to an Army watercraft during medical evacuation training in the Northern Arabian Gulf on February 21, 2019. Thank you to Staff Sgt. Veronica McNabb for capturing this image.